Homeowners looking forward to buy a sophisticated home in Bangalore can have a look at Property in Richmond Road. This is one of the most popular localities in Bangalore. The social infrastructure of the city is well-developed. Bangalore is known for its IT hub. The commercial importance of the city is one of the key factors behind the high demand for apartments there. Investors and homeowners from various parts of the country are interested in buying property in the area. 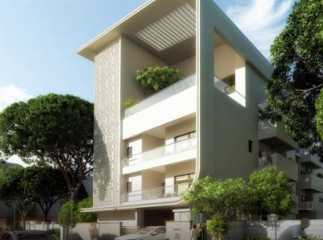 In case you are willing to get an elegant home for yourself, you can buy a 3BHK Property in Richmond Road Bangalore. The transportation system in Bangalore is well-developed. This ensures a good connectivity to the residents. You can get an apartment in the city that comes with all the amenities you seek. The reputed developers have come up with sophisticated residential complexes in the city. These estates come with several luxurious lifestyle and healthcare amenities for the residents. These include swimming pool, gym, various indoor and outdoor games and much more. The residents can enjoy quality time in the clubhouse. Children can play in the dedicated play areas. If you are willing to invest in Residential apartments in Richmond Road Bangalore, this is the right time for you to make the move.